Each and every one of us can be affected by road rage in traffic. 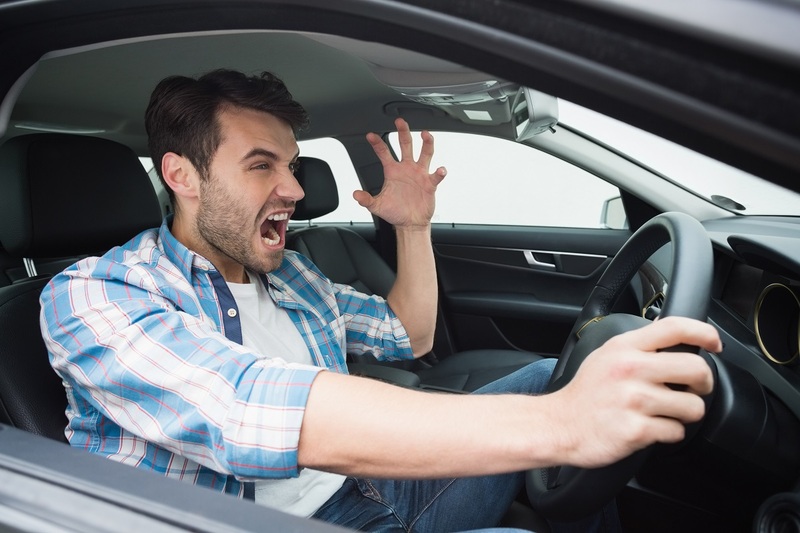 According to a survey by the AAA Foundation for Traffic Safety, 80% of the American drivers admitted they have felt and expressed anger in traffic, at least once in the past year. The same survey, however, revealed that only 3% of the drivers purposely bumped into another vehicle as a result of road rage, while 4% actually got out of the car to confront the other driver. This means that, from all the drivers that get angry in traffic, only a small portion of them act accordingly. As other studies have revealed, it is almost impossible not to get angry in traffic. We tend to subside to our instincts and let our emotions get the best of us. But from getting angry to actually hurting somebody is a long way and it is a road that nobody should walk. A driver that cuts you in traffic is not, necessarily, somebody intent upon showing you disrespect. It could be that they are inexperienced, having a bad day or simply a moment of carelessness. It may be infuriating in the first five seconds, but when you think about it rationally, there is no harm done. You managed to avoid a crash and instead of getting angry about the other driver, you should congratulate yourself on your proactive behaviour in traffic. It is only natural to assume that if you can control your emotions and not get out of the car to assault a careless driver, then everybody can. But, unfortunately, this is not the case. And when you find yourself in the situation when you have to deal with another driver’s rage, it is very important to know that you have rights. Don’t let yourself be bullied and stand up for your rights. In 2007, a dreadful accident happened in Maryland on the I-270 highway, in Montgomery County. According to the witnesses, the drivers of two vehicles exchanged angry gestures before one of them, in a road rage moment, pulled in front of the other and hit the brakes. The other driver tried to avoid the collision and swerved but, unfortunately, because of the speed, he lost control, flipped over and rolled several times. The two people who were in the car were ejected during the crash and died at the scene. If you find yourself in one of these situations, the most important thing is not to engage in road rage. From the legal point of view, if the other driver gets out of the car with the intention of hurting you, this could lead to assault, which is punishable by law. If they remain in the car, but intently bump into your car, this is assault with a deadly weapon. Yes, you may not know it, but, from the legal point of view, a car can be considered a deadly weapon when it is used to purposely hurt you. When the other driver follows you very closely, blocks your way or suddenly brakes in front of you, he or she is guilty of reckless driving. And if you think that shouting, showing obscene gestures or any other type of verbal aggression is not punishable by traffic laws, then you are wrong. Firstly, this type of behaviour means harassment. Secondly, since the other driver is more preoccupied with expressing their anger towards you than driving carefully, this behaviour also falls under the category of distracted driving. When you find yourself being the victim of another driver’s road rage, the safest way to act is to pull over as soon as you can and block your doors. Stay calm, memorize their license plate and call the police. If you see them getting out of the car and walking towards you, call the police, take out your phone and film everything that happens. If the other car purposely bumped into you, after calling the police, you should take pictures of everything at the scene of the accident, but from inside your car. Don’t get out, don’t engage in an aggressive behaviour and try to stay as calm as possible. Your life and your safety are far more important than a moment of anger. And if you or your car have suffered the consequences of another driver’s anger, know that you can sue them for personal injury. Also, if you ever felt that your life was in danger during a traffic altercation, you can also sue. For more information about getting justice if you have been the victim of road rage, contact the best Annapolis injury lawyer at (443) 569-3950 or by email at: [email protected].